When it comes to using small business technology, how do you strike a balance between security and safety? Yes, technology allows your team to work together no matter how far apart you may be — across town or around the world. And it gives you the ability to work from anywhere, accessing files and collaborating with colleagues even if you aren’t in the office. But in recent years the inherent risks have also been obvious: hacking, cyber attacks, compromised data and maybe worse! Well, lucky for you, the answers to your questions aren’t far away. Anita Campbell, Founder of Small Business Trends; Ramon Ray, Founder, SmartHustle.com; and Bryan Goode, Microsoft 365 General Manger take part in a discussion about how use technology for maximum security while keeping your business — and your customers’ data — safe. Inc. BrandView is also a sponsor of the Twitter chat. Discussion will include favorite tips and tricks for improving employee productivity, the biggest security threats small businesses face today and the best ways to protect against security threats. Participants will also pose questions about the connection between connectivity and productivity, how important collaboration really is to productivity and how to best balance the benefits of sharing files with the importance of keeping the data in those files secure. 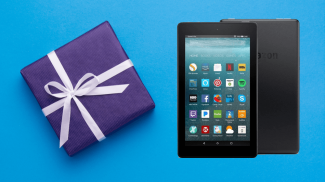 What tools, apps and services your small business should be using for better efficiency and productivity? What services and platforms should you be using to better engage with customers? What are some of the tools your business should consider to streamline your operations? 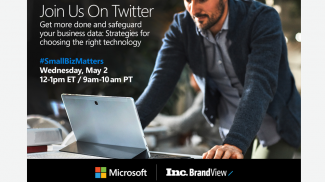 Please join us at #SmallBizMatters for this important Twitter chat about better productivity and security for your business. Sounds like it will be a great chat. Very relevant topic for today’s SMB. Very true, Robert. Hope to see you there! Hope that i could make myself available on this time. Is this a 1 time event only? Interesting read. But Microsoft 365 is only limited to SME’s. Once these businesses grow, it is often found insufficient to completely ensure data security. WorkappsChat is the only Indian company to offer an absolutely secured dedicated enterprise chat app. Large organizations such as ICICI, HDFC, Edelweiss, Titan are already using the app. The problem is that when the size of the organization increases, the cost involved in recreating the infrastructure is huge. So it makes sense to go for a proven secure app right from the start.